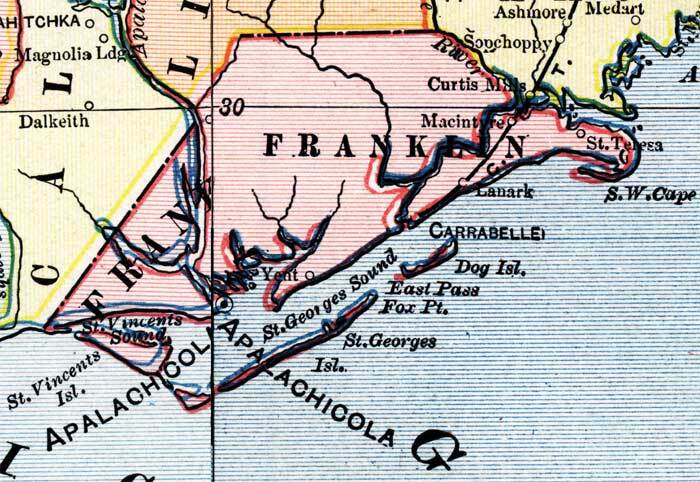 Description: This is a detail of a map of Florida, displaying county borders, county seats, and railroads current to 1902 for Franklin County. Major and minor cities are shown, as well as major waterways. The features of the map include Apalachicola, Carrabelle, and Dog Island.